You have an idea for a beverage or supplement product that needs to be created. And, we're here to assist you throughout that process! Formulators throughout the world incorporate our muscadine juices, concentrates, powders, and extracts as ingredients for the wine, juice, natural products, and dietary supplement industries. We also custom manufacture ingredients and copack bottled products for a number of juice, beverage, and dietary supplement customers. All of our processes begin with sourcing the freshest fruit. We source muscadines from our family’s vineyard during the peak of the harvest in August and September. During the spring and early summer months, we also partner with blueberry growers to fresh blueberries. Within our 25,000 square foot facility, we process up to 8 tons per hour of fruit into juice. And, with over 60,000 gallons of refrigerated tank capacity along with our decanter, centrifuge, sterile filtration, evaporator, htst pasteurization, and our state-of-the-art bottling line, we produce the highest-quality and clear concentrates and juices. And, since many health benefits are housed in the skins and seeds of fruits, we dry pomace from the juicing operations. Depending on the product, our fluid bed drying capabilities exceed 2 tons per day. 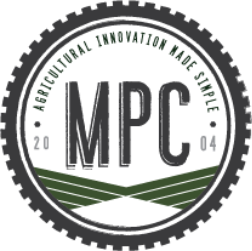 MPC offers several options for custom manufacturing juices and concentrates, as well as formulating and bottling such liquids. Purchase powders from MPC or send us your product to custom dry and mill to your specifications.